Help reduce risk and empower families. caregivers run errands and buy groceries for clients without the burden or risk of using client credit cards or cash. Home care providers across the country use the True Link Card to help save time and money while benefiting clients and their families. Save time spent out of the office purchasing merchant-specific cards or delivering petty cash. Fund the card from your computer at any time. Some providers prefer families to fund and control spending for their loved ones. Families appreciate being able to see all purchases and receive notifications. We know that protecting your clients and your business is a priority. With our service, you can provide caregivers with a reloadable card to run errands, buy groceries, and pick up medications. You or the family can fund the card online, and you customize where the card works to meet the specific needs of the family. 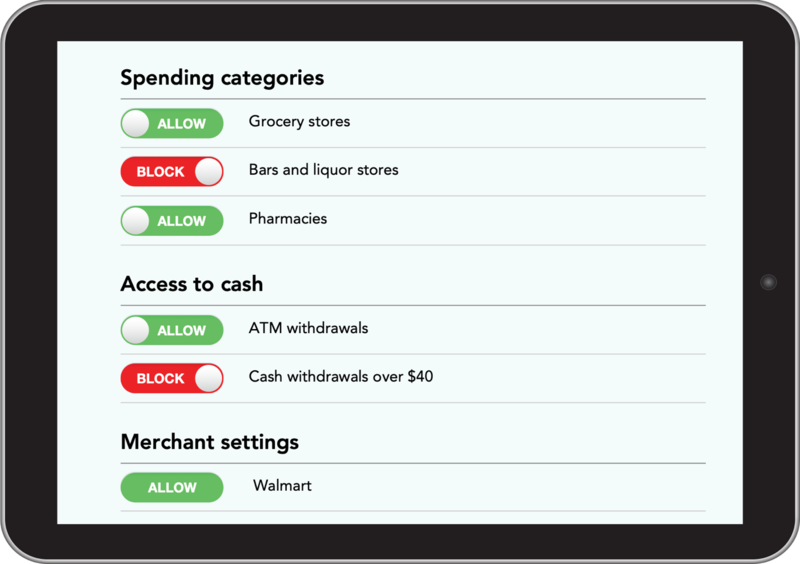 Choose to allow, limit, or block specific merchants or categories of spending—all while giving caregivers or clients the ability to purchase what they need, when they need it. Limits on cash withdrawals help make sure that caregivers can only access funds that you approve. You can choose to allow purchases on the card but prevent cash withdrawals, or only allow cash withdrawals up to a certain amount. The card will be denied for any withdrawal above the limit you set. Plus, you’ll have visibility into completed or attempted transactions via your online dashboard. When a charge or withdrawal is blocked, or when a spending limit is hit, you can choose to be notified via text message* or email so you can stay informed. 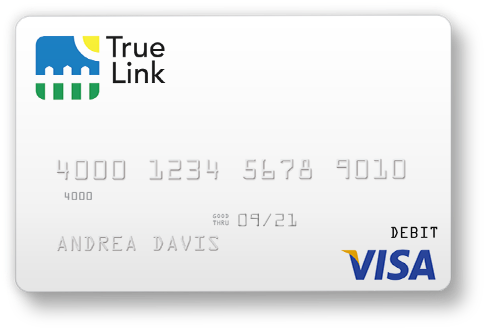 True Link Cards are prepaid cards that can be used for everyday purchases –like buying medication at the pharmacy, grabbing lunch with friends and family, or getting cleaning supplies for the home – everywhere Visa debit cards are accepted.